To be able to see the Philippines in its entirety is to be in Cagayan Valley. With lots of low land in between hills that seem like waves in position, cool breeze of fresh mountain air, blue seas, evergreen tropical forests, majestic waterfalls, strangely beautiful caves, huge farms, conventional watercrafts, native products, picturesque old churches, Chinese temples, Muslim mosques, and its various populace that live in peace and friendship – Cagayan Valley is truly a one-stop hop for the curious travelers wanting to get a good view of what’s there to behold in all the corners of this magnificent country. #1 - Palaui Island: Hot on spot number 10 of CNN’s "World’s 100 Best Beaches", Palaui Island’s raw beauty will mesmerize anybody who is tourism savvy. It is situated on the northeastern tip of Luzon, specifically in the municipality of Santa Ana, in Cagayan; and, it was where Survivor: Blood versus Water and Survivor: Cagayan, were filmed in 2013. Hence, it is altogether fitting and proper to call Santa Ana as the “Untouched Paradise” or “Luzon’s Last Frontier”. The most interesting thing to see In Palaui Island is the Cape Engano Lighthouse which is an exciting trek away from Engano Cove. #2 - Basco Lighthouse (Basco): Basco Lighthouse is located in Naidi Hills, Barangay San Antonio, in Basco town, Batanes. It is a 6-floor building with a viewing deck, where you can gaze at captivating Batan Island, Mount Iraya, Sabtang Island and Itbayat Island. Historically, this area was where the telegraph facilities during the American period used to be, which allowed them to communicate with the central government. Unfortunately, it was bombed by the Japanese Imperial Army during World War II. Nonetheless, the few still useful buildings that remained after the war, have been converted into businesses, for instance into a café, since the lighthouse has become a popular tourist attraction. #3 - Marlboro Hills (Mahatao): Marlboro Hills is smokingly amazing! Also known as Racuh Apayaman or Marlbory Country, it is where you will encounter water buffalos or carabaos, horses and cattle that wander freely as they feed on the common pasture. A truly perfect site to spend a sunny day, taking photos, breathing in all the calm and beauty of the bright sunlight touching the lush meadows, as you sip a refreshing drink – Marlboro Hills is indeed a heavenly place, where the sky, sea water and hilly land connive to altogether bring forth what seems as a painting come alive, with you and your companions in it--totally enjoying nature, basking in its breathtaking glory. #4 - Anguib Beach (Santa Ana): Anguib Beach, which can be found on the eastern portion of San Vicente, in Santa Ana, Cagayan, lets the sky and ocean be blue, but definitely not you! 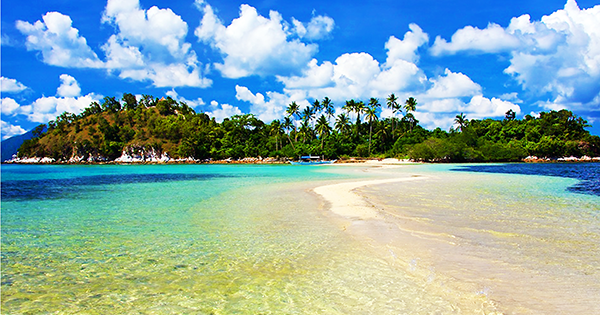 It is another “Boracay of the North” for its white sand and crystal clear waters where marine life abounds. So expect loads of fun and relaxation as you station yourselves at Anguib Beach for your nature-craving fix. This sublime beach, although still undergoing development, once fully operational for business, is excellent for scuba diving, jet skiing, boating and snorkeling. #5 - Yaru Nu Artes Ivatan (Basco): Are you a budding or aspiring artist, who would love to get some training for painting, drawing or photography? Then hop into the Yaru Gallery and Art shop, the one and only art gallery in Batanes – which can be found in Barangay Kaychanarianan, Basco, Batanes. Run by no less than the local artist and owner, Ms. Victoria Abad – Kerblat, Yaru Gallery and Art shop also has paintings for sale – some of its prominent buyers include restaurateur Ricky Gutierrez, and Bishop Camillo Gregorio, to name a few.